In some process situations, mechanical level sensors are the best choice for the environment or are stipulated by law (as in boilers). To operate these devices requires the physical contact of the process being measured. They provide solid indisputable proof that a process condition has been achieved. Provided the mechanical mechanism is connected and working properly, these devices provide the most believable proof that a level in a vessel, tank or silo is actually what the instrument is saying it is. Mechanical level sensors usually incorporate either a pendant float, a rotating paddle or a vibrating fork. When the process contacts the element a major change in the element’s behaviour is detected and is used to trigger an electrical signal. In the case of a float, it will rise or fall and make or break an electrical contact, a turning paddle will either stop or slow down and change the motor current, and a vibrating fork will change its resonance characteristics. Drawing No. 1 Common Types of Mechanical Level Switches. These devices do not produce continuous readouts but indicate the presence of the product at the sensor level. Mostly they are used as switches, often as low level and/or high level cutouts. Drawing No. 1 shows three types of mechanical level switches. The length of the detector element can be extended to mount it deeper in the vessel. 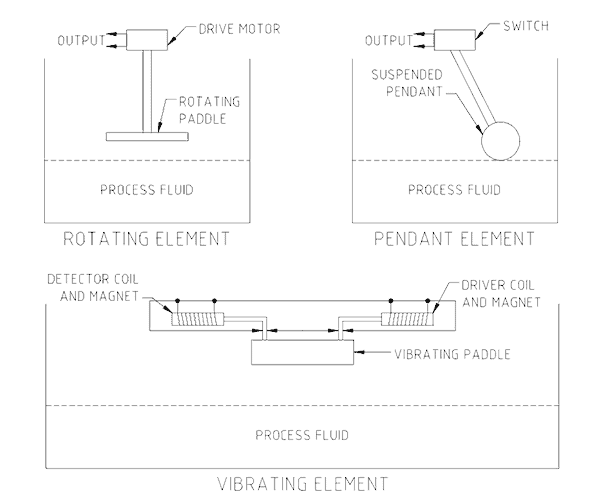 One variation to the floating pendant switch is where the float is raised and lowered on a cable. When the float contacts the top of the contents it is buoyed up and the weight on the cable changes. The change in motor current is registered. These devices can be raised and lowered numerous times during filling and emptying and so will act as a means of intermittent level monitoring. The main limitations of mechanical level switches are that they are in direct contact with the process and can be affected by it. Chemicals can corrode components, product can jam moving parts, materials used in construction and methods of construction can fail due to pressure surges (floats can leak at joints and fill up with process fluid) and moving parts gradually wear. Rough, raging processes and product impact cause mechanical damage to the element, crusting and scale build-up can foul the probe. Internal electrical components can fail from dust, moisture, chemical attack and temperature effects. The positioning and sensitivity setting of these devices is critical to their successful use in all situations. Mechanical level sensors require physical contact to operate and it is necessary to understand how the contact will occur and affect the position the probe. Light materials and fluid powders can be easily pushed aside by rotating paddles and vibrating forks. In such cases it is necessary to install larger surface areas that contact a greater amount of product to produce the needed amount of drag. 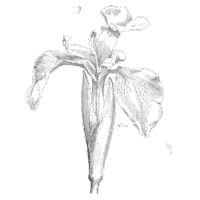 If you found this interesting you may like the ebook Centrifugal Pump Problems & Answers.